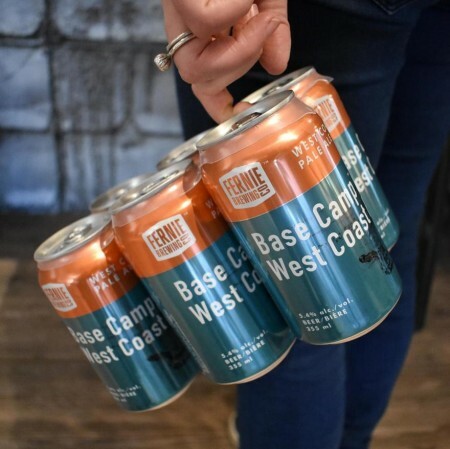 FERNIE, BC – Fernie Brewing has announced that a beer released earlier this year as a summer seasonal brand will now be available year-round as part of the brewery’s core line-up. A hop forward, light copper coloured pale ale with oats added to enhance the body and mouthfeel. Crystal malts give it a slight caramel flavour and heaps of Mosaic and Ekuanot hops add a strong aroma and flavour of tropical fruits. The year-round version of Base Camp has been shifted from 650 ml bottles to 355 ml cans, which are available now in six-packs at beer retailers throughout British Columbia and Alberta. It can also be found on tap at select locations in BC and Manitoba.